Order now and save 20% off of regular retail price! The Tohono O’odham Shadow Wolves organization is the only authorized American-Indian tracker-unit presently in the U.S. law enforcement inventory. Their motto is: In brightest day, in darkest night, no evil shall escape my sight … for I am a Shadow Wolf. In 1972, the United States Congress authorized Custom Services to establish a fifteen-man, American-Indian law enforcement unit to patrol the Tohono O’odham Indian Nation in southern Arizona with the primary mission to track and arrest drug smugglers and illegal immigrants crossing the border into the U.S. from Mexico. After the horrific attack on the two Trade Center buildings in New York City on 9/11/2001, the Customs and Border Protection Agency took over control of the unit. Then in 2006, the government reassigned the unit to another agency, Immigration and Customs Enforcement (ICE). 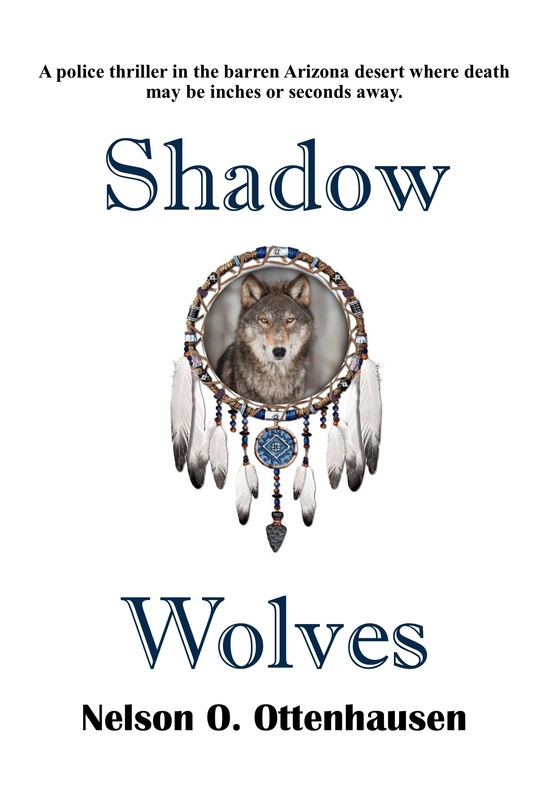 The unit is called Shadow Wolves, earning the name by the way they conduct a field operation. If a Shadow Wolf customs agent or a U.S. Border Patrol officer finds any evidence of drug smuggling and illegal migrations within the Indian Nation’s boundaries, a team, or in some cases, the entire fifteen-man unit is deployed to track and hunt down the lawbreakers. Tino Ortega heads a tactical law enforcement unit assigned to ICE (U.S. Immigration and Customs Enforcement). They call themselves Shadow Wolves. Their primary mission is to track drug smugglers and illegal immigrants who cross the border of Mexico into the American-Indian Tohono O’odham Nation located in the Sonoran Desert of southern Arizona, an area infested with dangerous rattlesnakes, venomous lizards and sometimes with deadly radical terrorists. While on assignment in the desert, Special Agent Ortega and two members of his team find three bodies killed execution style. Two of the bodies are U.S. Border Patrol agents. The third body is one of their own, a Shadow Wolf tracker. The FBI asks Ortega to assist in finding those who murdered the three men. He agrees, but the Shadow Wolves soon learn there is more to the case than a simple murder investigation.